Throughout my years as a Certified Massage Cupping Educator I’ve come across a multitude of questions in reference to Massage Cupping, whether it’s before, during, or after a workshop. The questions are really across the board ranging from what to do, how to do it, where to do it, to what extent to do it etc. I think you get the point. It’s quite enlightening to see the faces of the participants of the workshop becoming increasingly amazed at the almost immediate and spontaneous response the body has from the many techniques of this modality. I see confidence build. I see intention becoming more refined and defined. I see healing. But the questions still come. Here’s a few of the frequently asked questions I receive and have answered in length on the section of my blog called “Massage Cupping Tricks & Tidbits.” Hopefully this list will answer your questions if you are a massage cupping practitioner, as well as those of you who are “on the fence” about this modality. 1) Can Massage Cupping really release Trigger Points? Most injuries of the soft tissue can be resolved by simply releasing contractions and tightness in fascia… Massage Cupping makes this process easier and without the discomfort associated with compressing hypertonic tissue. 2) How can Massage Cupping relax the nervous system? Cups used on motor points will excite a twitch thus resetting the proprioceptors causing the muscle(s) to relax. 3) How can Massage Cupping give my clients a natural face lift? Draining of stagnant fluids from reservoir areas easing puffiness. Reduced tension with a natural stimulation of collagen and elastin production. Quicker absorption of ampules, masks and serums. 4) How does Massage Cupping work? Mechanically, the lifting action of Massage Cupping, muscle bundles are pulled longitudinally and move transversely. This both stretches the fibers and moves the bundles apart. The physiology of Massage Cupping is the separation of soft tissue. 5) How does Massage Cupping differ from TCM cupping therapy? Even though Massage Cupping and TCM (Traditional Chinese Medicine) cupping therapy are similar, it’s the development of our techniques that is for Massage Therapists and mimics our massage strokes. This keeps the cups “ACTIVE” or “DYNAMIC” with cups continuously moved. 6) Why Do Some People Have Visible Round Marks on Their Skin? The marks or “cup kisses” are the equivalent to the Eastern “sha”. The marks are indicators where the stagnation or congestion is located in the muscles or tissues. It is not our intention to produce these marks but if they occur it is a spontaneous reaction. 7) How can Massage Cupping help with the relief of adhesions, taut bands, and tender points? Looking at fascia we know that thicker ground substance can cause the collagen to bind together or to adjacent connective tissue. With massage cupping we are creating Thixotrophy changing the viscosity of the ground substance making the soft tissue more LOOSE, SUPPLE, AND PLIABLE. Have more questions about Massage Cupping? Head over to my blog to learn more, and drop me a comment here too! 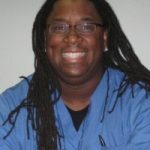 About the author: As owner of MindBody Therapeutics located in Philadelphia, William Burton works with clients who have a wide variety of muscular dysfunctions and ailments; athletes, and everyday people who seek relief from stress and injury. William has also written a Deep Tissue Massage Manual.